Yet only that last point is actually true. 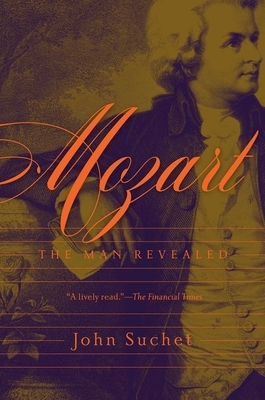 In this comprehensive biography, John Suchet examines the many myths and misunderstandings surrounding the world's best-loved composer. From his early days as a child prodigy performing for the imperial royal family in Vienna to the last months of his short life, driven to exhaustion by a punitive workload, one thing remained constant: his happy disposition. Through trials and tribulations, grand successes and disheartening setbacks, Suchet shows us the real Mozart--blessed with an abundance of talent yet sometimes struggling to earn a living. His mischievous nature and earthy sense of humor, his ease and confidence in his own incredible abilities; these were traits that never left him. His music has brought comfort to countless generations; his life, though brief, is no less fascinating.